Warning: spoilers for the Agents of S.H.I.E.L.D. episode “Who You Really Are” are ahead! Agents of S.H.I.E.L.D. was visited by two aliens in last night’s episode “Who You Really Are”: the Asgardian Lady Sif and a Kree warrior named Vin-Tak; the latter is the same species as the blue body seen in previous episodes and the Guardians of the Galaxy villain Ronan. Sif spent most of the episode with amnesia, but she eventually regained her memory and recalled that she had been sent to Earth by Odin to apprehend the Kree. During the episode, Skye’s powers were finally revealed to the rest of the team, and fans got a history lesson along the way: the origin story of the Inhumans. Thousands of years ago, the Kree traveled to different planets to perform experiments on the native populations. Their goal: to turn these species into living weapons to be used in their war. Most of the experiments were failures, but on Earth they were successful…too successful. We saw in the episode “What They Become” that the Diviner released a mist that transformed genetically-compatible humans into superpower beings. This process is called Terragenesis, and when the Kree saw that these genetically altered humans were becoming too powerful, they abandoned the experiment and left Earth. This is the history of how the Inhumans came to be. After sensing the Diviner from the ancient city activated, Vin-Tak came to Earth to obtain the other six Diviners and neutralize any Inhuman threat. When seeing Skye’s earthquake powers, Vin-Tak labeled her a monster that needed to be dealt with, to which Sif agreed. Fortunately, the Asgardian was convinced to leave Skye on Earth unharmed, and Vin-Tak was neutralized before he could do her any harm. Now the team knows more about these strange super-powered beings, and as for Skye, she’s confined herself to a cell to protect the others. There's bad news, though. Those remaining Diviners that Vin-Tak was supposed to retrieve? They’re missing! It looks like someone wants to set off Terragenesis on a massive scale. Who has these artifacts? While Hydra may seem like the ideal culprits(given they are the main bad guys this season), another likely bet is the group of Inhumans that we met in the “Aftershocks” flashbacks, which includes Cal’s wife. Regardless, there are still several questions left to be answered. In the comics, the Inhumans built their own technologically-advanced society separate from the rest of humanity when the Kree left. In the MCU, these genetically altered humans have been around for about the same amount of time, but how long have they been active with superpowers? Remember, those Diviners were retrieved by the SSR from Hydra at the end of World War II. Does this mean that Inhumans have only had superpowers for three-fourths of a century or is it still thousands of years like in the source material? If it’s the latter, Hydra’s theft of the Diviners must have been a temporary setback for the Inhumans. There’s also the issue of why Vin-Tak only noticed the Diviner in the ancient city being activated when clearly there have been other Diviners used throughout the decades to transform others. The ancient city may have been flooded, but there’s likely other areas where they can be activated. Even with these questions remaining, it’s good to finally get the backstory on how this select group of genetically-unique humans were created. Compared to their comic book origins, the MCU history lines up pretty close. 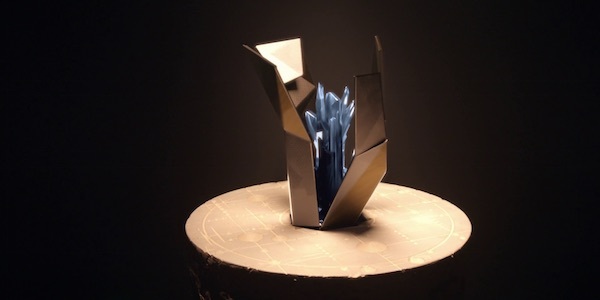 Upcoming episodes will have Skye learning more about her transformation from an Inhuman named Lincoln, played by Luke Mitchell, and hopefully fans will also learn more about the Inhumans’ secret history following the Kree experimentation and what their plans are, whether they involve the Diviners or something else. Agents of S.H.I.E.L.D. airs Tuesdays at 9/8c on ABC.